Reaching Your Financial Destinations: Four Ways To Repay Your Student Loans With Help From Destinations Credit Union! 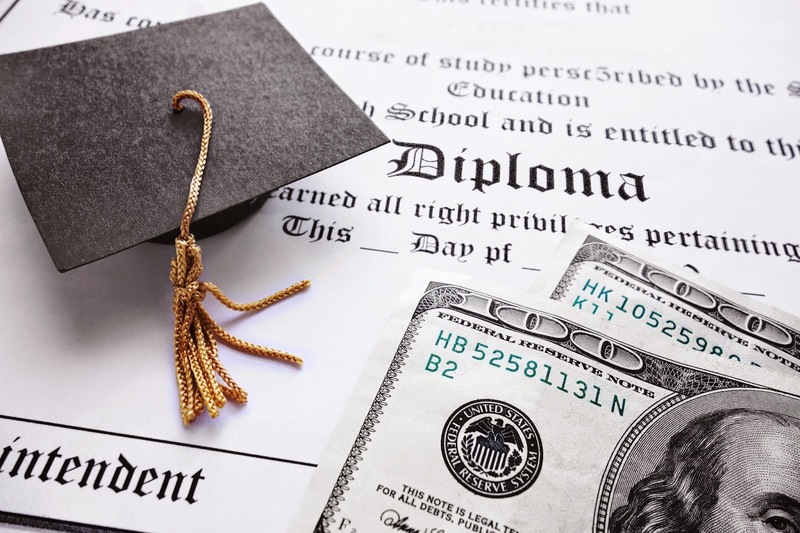 Four Ways To Repay Your Student Loans With Help From Destinations Credit Union! seniors swaggering about like they owned the place. Then, just a few short years later, there you are. You've crammed for your last final, written your last paper and said tearful goodbyes to your friends. For many graduating seniors, though, leaving college isn't "real" for quite some time. For many college students, the reality of moving on from college doesn't set in when they throw a mortarboard. It comes a few months later, when they get their first billing statement for their student loans. Seeing a balance of $30,000 can make the gravity of adult life hit home in a very real way. It's easy to put making the minimum payment on auto-pilot and to treat your student loan bill like your cellphone bill or rent payment. It gets sorted into the pile of bills to pay and never gets a second thought. However, you might be leaving money on the table by using the loan company's bill pay service. Destinations Credit Union can help you pay back your loan in more ways than you might realize, and save you money in the process. 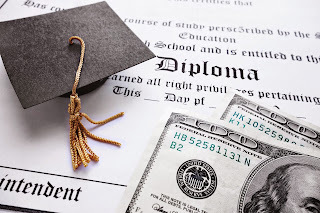 Here are four convenient ways you can pay for your education and get greater flexibility. You might be able to get some extra rewards out of the deal, too! You can't start paying off your student loans while you're in college. But that doesn't mean you have to sit and wait to get buried under an avalanche of debt. You can take proactive steps while you're in school to make your life easier. Your student work or part-time job might not make a dent in astronomical tuition costs, but it can still help you get out of debt faster. Setting up automatic savings account transfers will force you to put away a little bit each month. Check out Destinations Credit Union Kasasa Cash or Cash Back (free checking with rewards) to see how you can get extra money for your savings every month. You can use that once you're out of school to make a big first payment. It'll really take the sting out of the debt load. Make sure to put this money into an account you won't be tempted to use for other things. The $100 or $200 you put away every month could rapidly disappear through dinners out and concert tickets. Automating savings is a way to keep yourself disciplined and on target. Your student loan provider is a business, and they're out to make money. All aspects of their operations, from the materials they send you when you start borrowing to the bills they send you each month, are marketing materials. They're designed to maximize profit. For lenders, that means keeping you paying the minimum amount for as long as possible. That's why their bills make it as easy as possible to pay the minimum and require extra work to pay more than that. They want you to pay the "amount due" every month. It's more profitable for them that way. You can get the advantage back by setting up automatic bill pay. When you do, you can designate an amount of your choosing to be paid to the lender every month. You can pay your bill back at your own pace and save some money on overall interest while you're at it! As a bonus, you can often get around nuisances like "technology fees" with automatic bill payment. One of the benefits of a student loan is the bump you get on your credit score by paying it regularly. Lenders see your management of student loan debt as evidence of responsible borrowing, making them more likely to trust you in the future. If you want to maximize the benefit to your credit score, you can use a credit card from Destinations Credit Union to make your student loan payments. You can earn rewards with each "purchase" but make sure you are paying down the credit card as you make these payments. There's not much point in trading one kind of debt for another unless there is a long-term benefit. This advice deserves some qualification. Many lenders don't accept credit card payments, and many others charge handling fees. A 1% transaction fee for using a credit card should be seen as a 1% increase in interest. Also, credit cards can be an easy way to get into trouble. Don't use them if you don't have an emergency fund to fall back on. Credit card interest rates are frequently much higher than student loan interest rates and missing a credit card payment is just as detrimental as missing a student loan payment! Still, if you're careful about it, you can build your credit score twice for the same loan. Both your student loan and your credit card will show as paid each month, which will make you look twice as responsible for paying one bill. You will be able to earn a few rewards points as icing on the cake. College is about the journey, not the destination. If your journey was a longer one than usual, you may have debt from several places. You may have used your credit card to finance your living expenses or taken out unsubsidized loans from private lenders. These variable interest rate loans can really hurt you financially. It might be time to consider refinancing. You can take a personal loan for all your outstanding debt and consolidate it into one monthly payment. You can lower your interest rate and simplify your financial life at the same time. This process can also include one-on-one time with a trained financial professional at Destinations Credit Union. 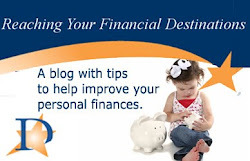 You can gain advice on budgeting and make a roadmap to a truly debt-free future. To see if consolidation is right for you, call, click, or stop by Destinations CU today!